critically examining the informational content of such processes from a theoretical point viewpoint. Furthermore, the book considers the current state of incorporating many-body effects into theoretical approaches. "...for experimental or theoretical scientists conducting research, although...students interested in research in this area of spectroscopy will find this title extraordinarily valuable." 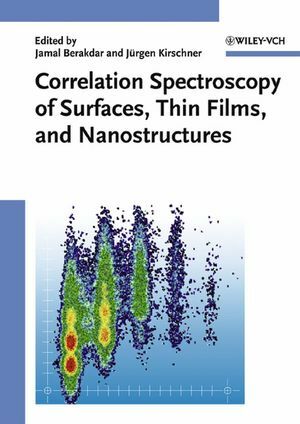 "Undoubtly, this book with its presentation of frontline research on correlation spectroscopy deserves many readers, both among experimentalists and theoreticians who are engaged in determining the electronic structure of solids." "The book is well laid-out, the figures are clear and a reasonably extensive index is provided...This monograph will be of use to researchers in this field, and may find use as a text for advanced graduate courses in electronic structure. As independent particle physics becomes better understood, the need to understand and properly treat many electron phenomena becomes increasingly important. This monograph is a significant and timely contribution to that end." "I recommend this book to serious researchers involved in surface physics and chemistry, as the book provides an excellent snapshot of the status of state-of-the-art research along with projections about future directions of the field." "Many-bodied phenomena is an important and difficult area of research. This book will help contribute to an understanding of this area." " I recommend this book to serious researchers involved in surface physics and chemistry, as the book provides an excellent snapshot of the status of state-of-the-art research along with projections about future directions of the field."